Led by University of Newcastle Associate Professor Frances Kay-Lambkin, the vSHADE study (Veteran Self-Help for Alcohol and Depression), will target veterans under 45 years of age. It will trial an evidence-based online program and examine the impact of a social network support group on participants’ mood and alcohol use. Participants will receive free access to a series of 10 online modules covering topics such as mindfulness, mood management, positive thought patterns and tips for making positive changes. Some participants will also gain access to an online community called BreathingSpace, which allows interaction with people experiencing similar situations and also trained psychologists and social workers, in a safe and supportive environment. 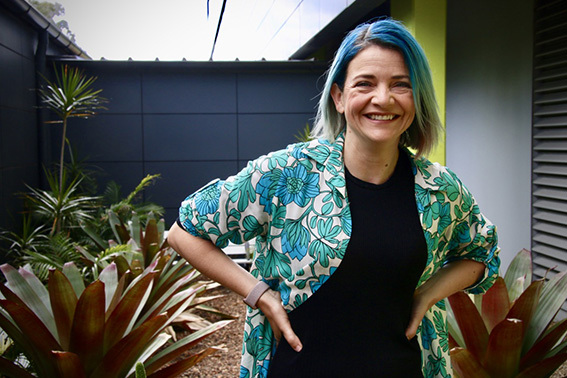 Associate Professor Kay-Lambkin*, who researches in conjunction with the HMRI Brain and Mental Health Program, said mental health and well-being of ex-serving Australian Defence Force personnel was of paramount importance. “Our online research project is designed for young Australian veterans who are feeling down or lost, and who tend to drink a bit to help cope with some of these feelings. We want people to know that if this sounds familiar, that help is available without having to leave the house,” Associate Professor Kay-Lambkin said. “The purpose of this research study will be to test how effective this online support package is for ex-serving Australian Defence Force personnel in the 18 to 45 age bracket. “We will offer all study participants free and anonymous access to the SHADE program, which has been tested in the civilian population, and shown to reduce depression and hazardous alcohol use. Project partner Adrian Sutter, founder of digital program Swiss8, advocate for veteran health and well-being, and himself an Australian Army veteran said new approaches were needed to engage younger veterans in activities to ensure their mental and physical health. “Technology is key in being able to connect younger veterans with strategies to improve their mental health and physical health, given this generation really doesn’t access traditional forms of treatment and support. We need new ways to engage younger veterans and to encourage them to seek help for their mental health,” he said. Funded by the Defence Health Foundation, the randomised controlled trial is also supported by partners Aspen Medical, Defence Health, Newcastle Institute for Energy and Resources (NIER), the Centre for Brain and Mental Health Research, and NHMRC Centre of Research Excellence in Mental Health and Substance Use. The vSHADE website also includes immediate feedback and links to online support, including Lifeline 131114. Interested people can visit www.vshade.com.au to see if they are eligible to participate in the study. * Associate Professor Kay-Lambkin is co-director of the University’s Priority Research Centre for Brain and Mental Health, and a member of the University’s Priority Research Centre for Stroke and Brain Injury. ** HMRI is a partnership between the University of Newcastle, Hunter New England Health and the community.